Ready to rock your live event attendance? 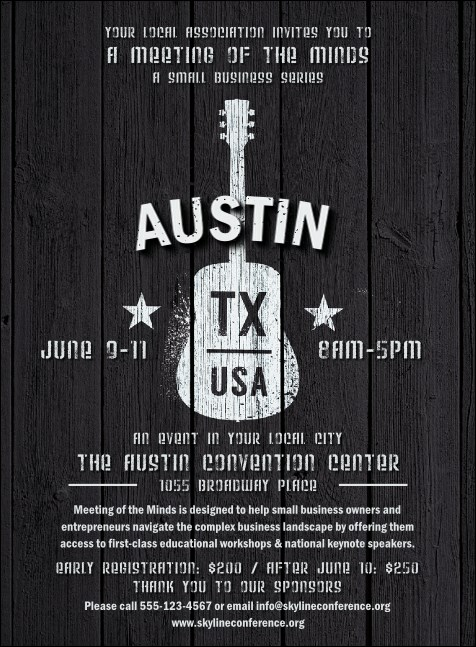 Print Austin Music Invitations and let your Southwest guest list grow like wildfire in a drought. Each Invitation features a classic black and white background with a spray-painted, street-art look and sixteen lines of text to customize with all your event details. TicketPrinting.com helps you keep Austin weird!